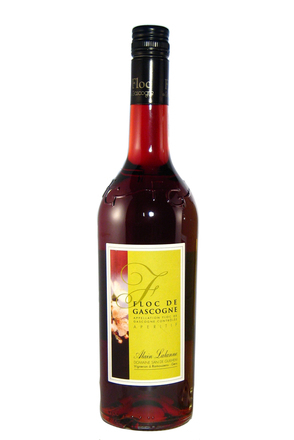 Floc de Gascogne is a fortified aperitif wine from France's Gascony region, an inland area between Bordeaux and Toulouse, stretching to the Pyrenees famous for producing Côtes de Gascogne wine and Armagnac. 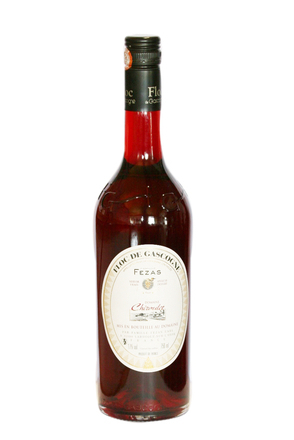 Usually 17% alcohol by volume, Floc is similar to the Cognac regions rather better known Pinot des Charentes. 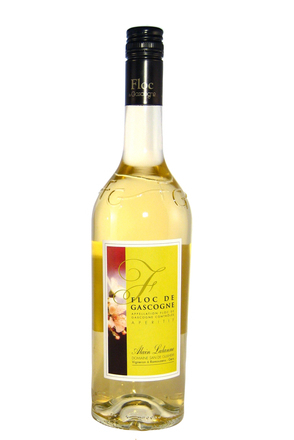 The name 'floc' comes from 'lou floc' meaning 'bouquet of flowers' in the Occitan language, a reference to the aperitif's fruity, perfumed and floral characteristics, and that floc comes in both red and white. Henri Lamor, a winemaker from Cravencères, is credited for first coining the name 'Floc de Gascogne' in 1954. 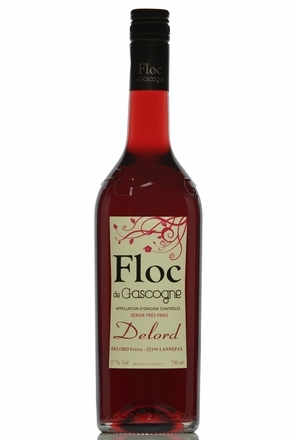 Floc de Gascogne is produced by blending two-thirds partially fermented grape juice with one-third armagnac, a recipe which is thought to have been in use in Gascony since the 16th century. The addition of the spirit raises the alcohol strength to a level which kills the yeast, so arresting fermentation leaving sweet unfermented grape sugars. The now fortified wine must be matured for at least nine months, usually, but not necessarily, in oak casks. Floc de Gascogne was granted Appellation d'origine contrôlée (AOC) status in 1990 and shares the same designated borders as Armagnac. The area is further sub-divided into three regions: Bas Armagnac, Ténarèze and Haut Armagnac. The wines of the Bas region produce the finest Armagnacs followed by Ténarèze so only small quantities of wines from these two prestigious regions are used to make Floc de Gascogne. The Haut Armagnac region, pronounced 'oaut' and meaning 'high' is generally considered the least distinguished of the three regions for Armagnac production. Ironically this area produces great white table wines so Haut Armagnac's vineyards are predominantly used for wine production (most notably vin de pays des Côtes de Gascogne). 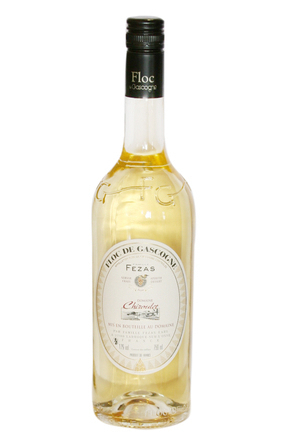 Thus Floc de Gascogne tends to be based on wines from this region. The rules of the Floc de Gascogne Appellation stipulate that the wine and Armagnac must be made by the same producer but not necessarily from the same region. The fortified wine must also be aged in cellars owned by that producer and it must be approved by a committee representing the appellation before it can be sold under the Floc de Gascogne appellation. 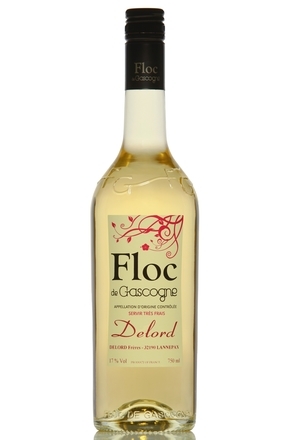 There are hundreds of small producers of Floc de Gascogne, each with their own brand name. 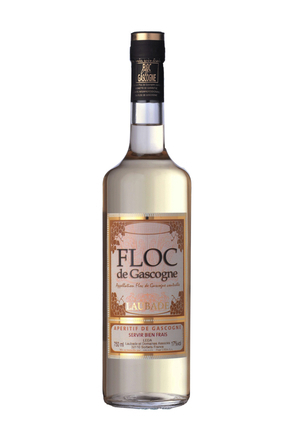 Floc de Gascogne is available in both white and rosé styles. 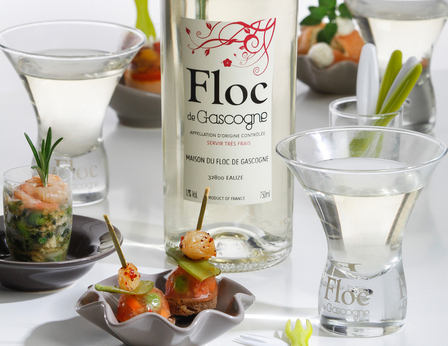 Floc de Gascogne should be served chilled or over ice. It is usually drunk as an aperitif or dessert drink. Floc should be consumed within a year of its release and once a bottle has been opened it should be stored in a refrigerator and used within three months.